Anna Bay Public School has a professional and dedicated staff. Quality teaching programs and practises are achieved through a shared vision, access to ongoing professional development and a commitment to the students in their care. 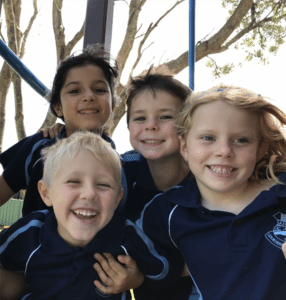 Anna Bay Public School students engage in learning within a nurturing, caring and safe environment. The School’s diverse curriculum meets the academic, sporting, cultural and artistic needs of all students. Students enjoy such programs as Dance, Music, Choir, Drama, Jump Rope, as well as programs involving Media. Anna Bay Public School is committed to ensuring that all students are lifelong learners who can respond to their constantly changing world. The School boasts a media centre and a fully equipped library. Anna Bay Public School students display the core values of respect, tolerance and co-operation through participation in successful welfare and social programs.